A while ago, our reader Shay emailed me a Sales Funnel chart template. 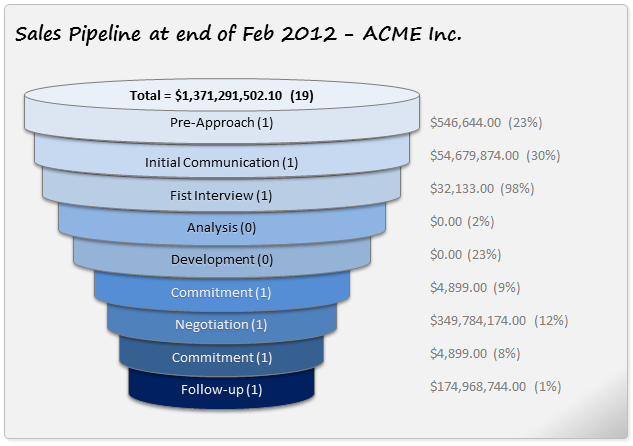 I had to create a sales funnel for my company and I looked all over the internet to see how to do what I needed to do. I couldn’t find anything. I tried your funnel chart as well but because my numbers are all over the place I couldn’t get it to work for me. I get so much information from you that I decided to share this chart with you. I used the shapes drawings to create the funnel graphic and the camera tool to place the values in each shape. 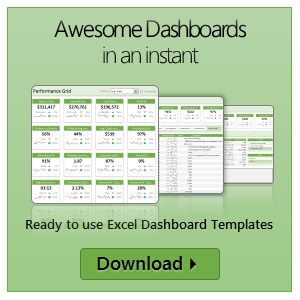 I used formulas in the original data so that I will not have to recalculate every month. I took the liberty of making little changes to Shay‘s funnel chart template to make it even better. Here is how the funnel looks like.